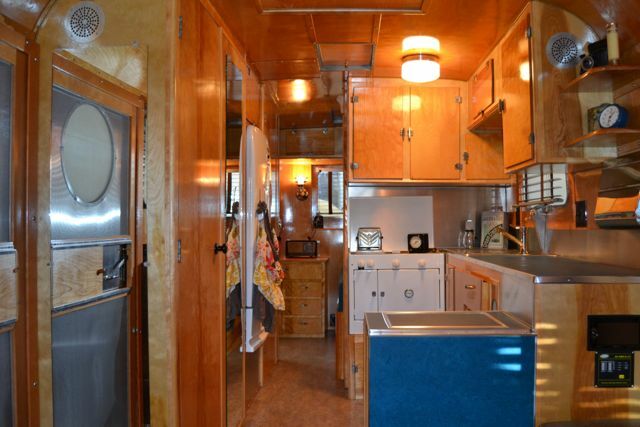 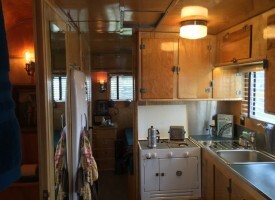 This 1948 Palace Royale served as the show trailer of Justin & Anna for two years. 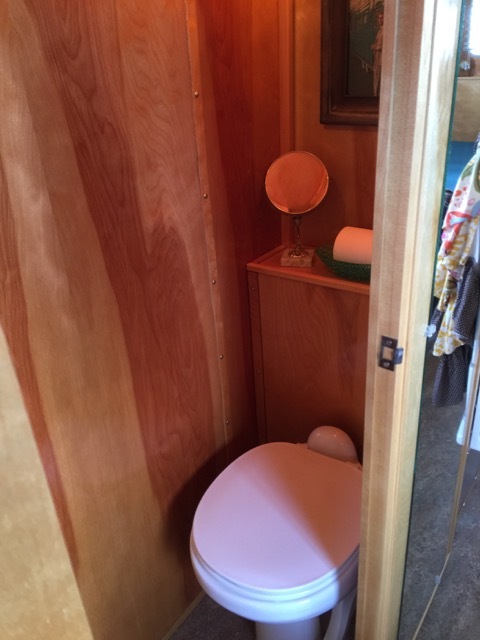 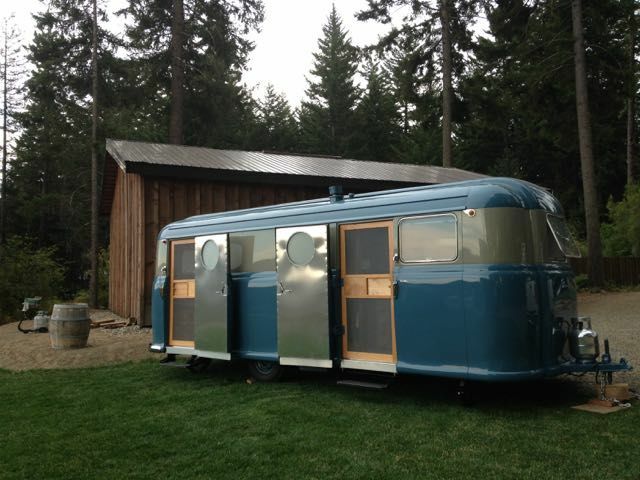 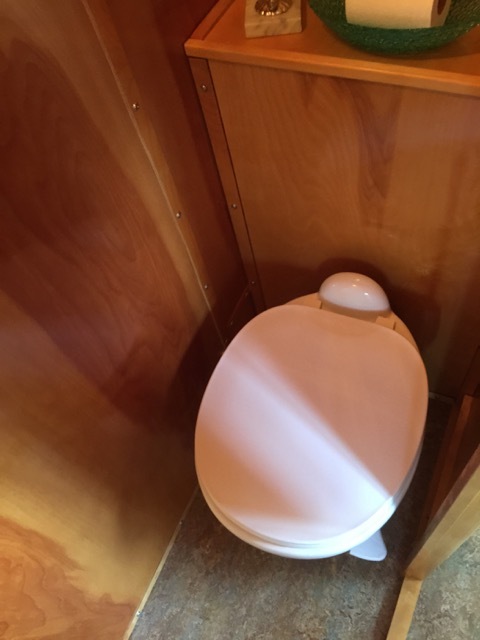 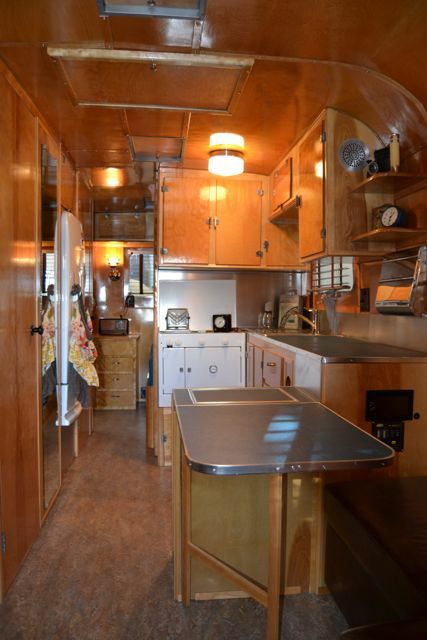 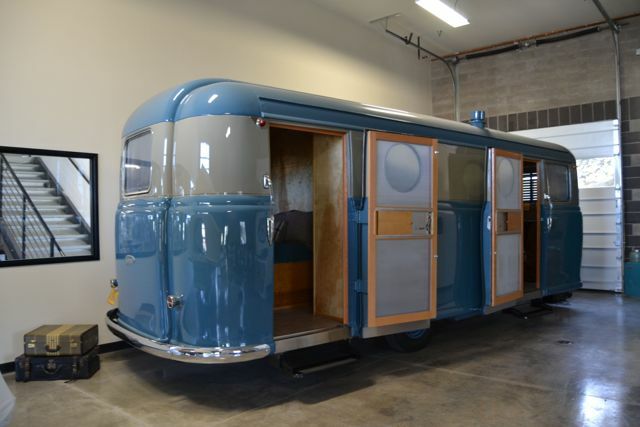 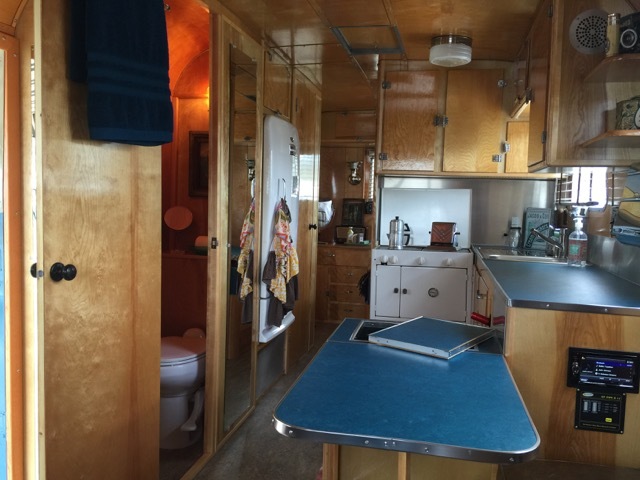 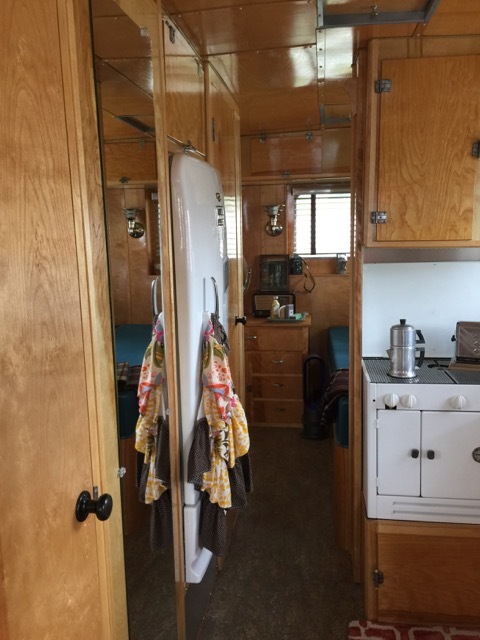 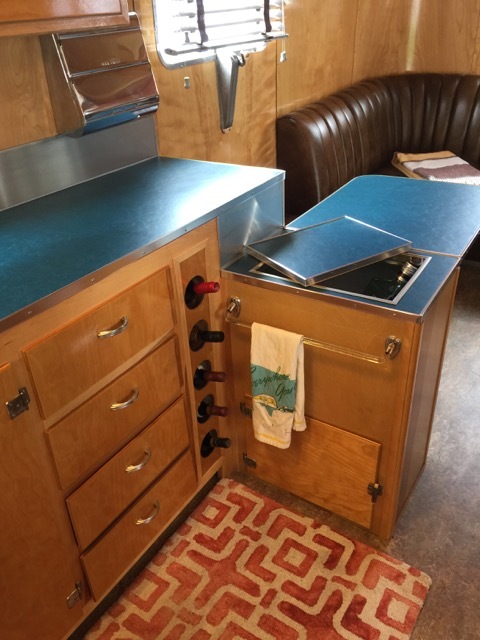 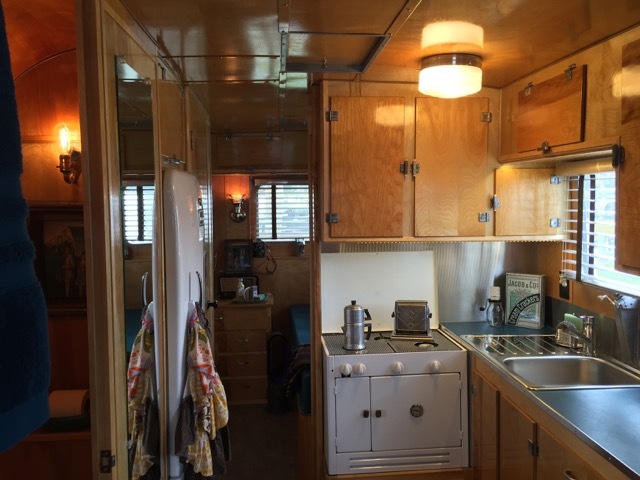 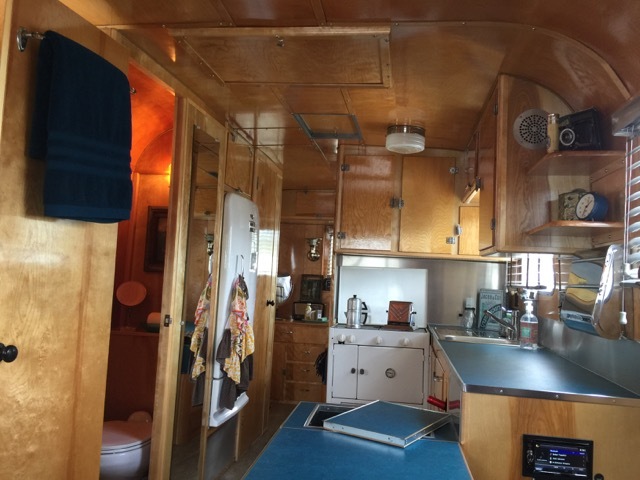 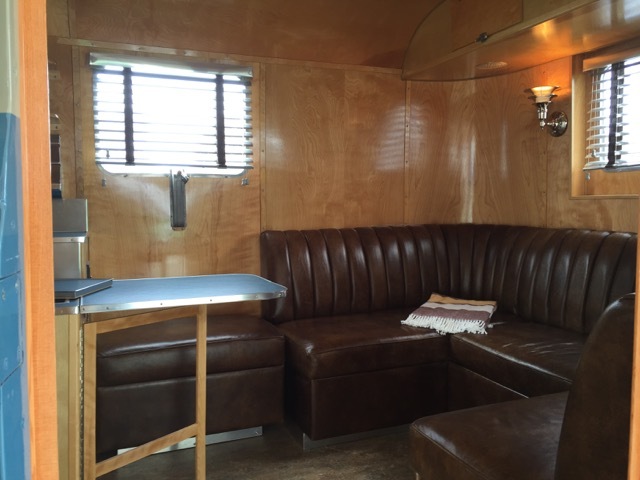 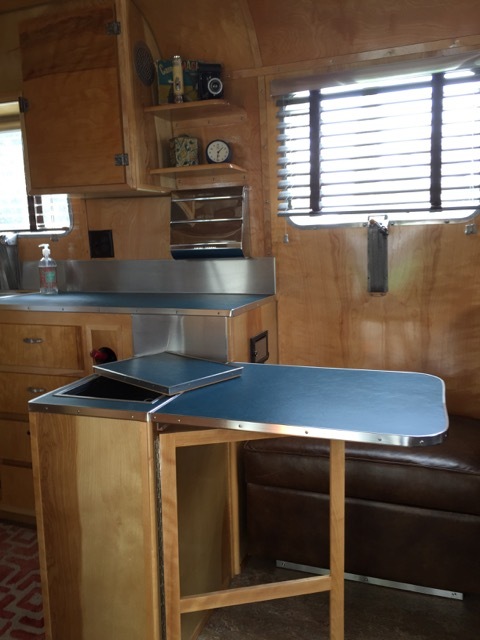 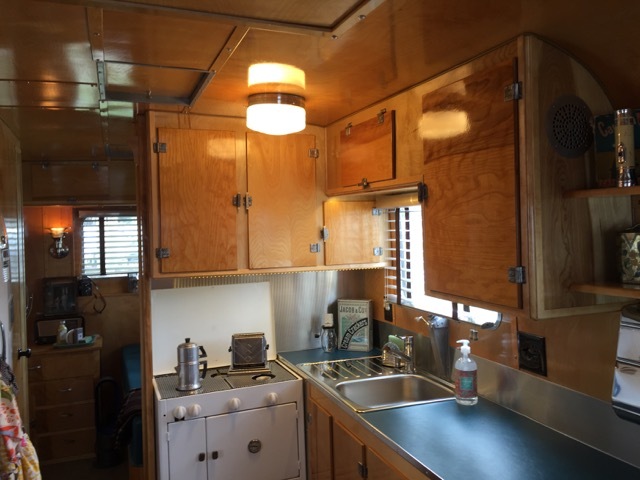 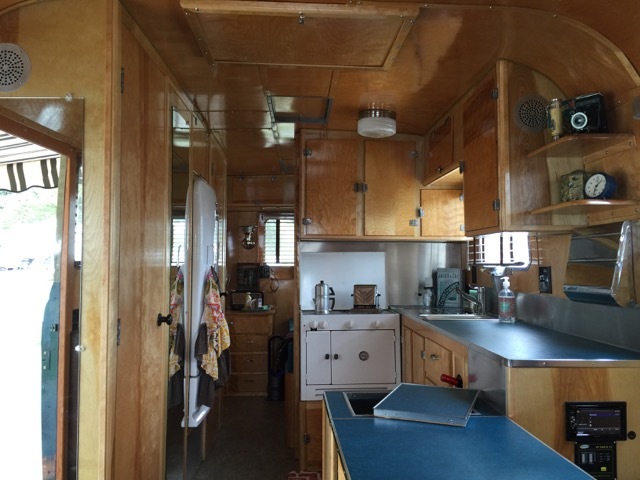 The build was featured on Flippin' RVs Season 1, and was the very first Vintage Travel Trailer to show at the SEMA Show 2015 in Las Vegas. 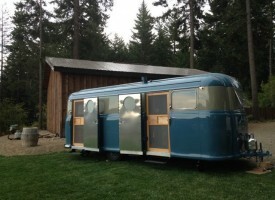 Not only does this coach exude style, with it's unique curved aluminum panels, and the much desired "trolly top" roof, but we were able to match the original paint codes. 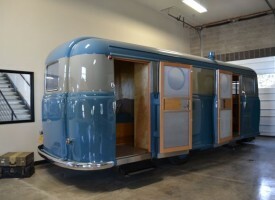 We added custom pinstripping and re-chromed the original bumper. A vintage styled Sunbrella awning and large lighted exterior grab handles with "Palace Royale" engraved, finish off the extrior. 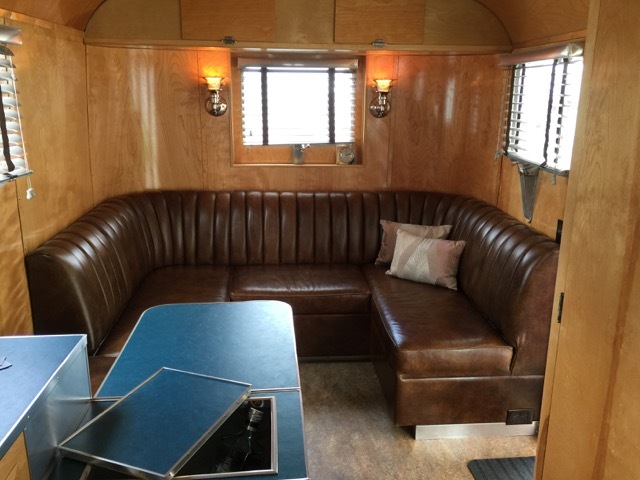 The result is stunning. 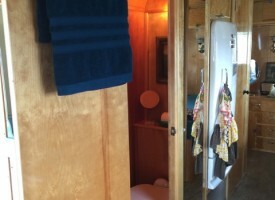 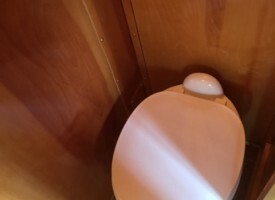 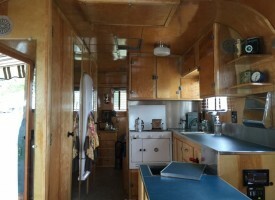 The interior features Birch wood as it would have originally. 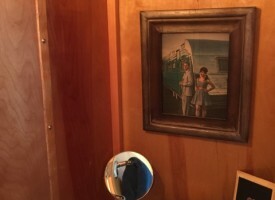 We were able to source all of the original window mechanisms that make the Palace so unique. 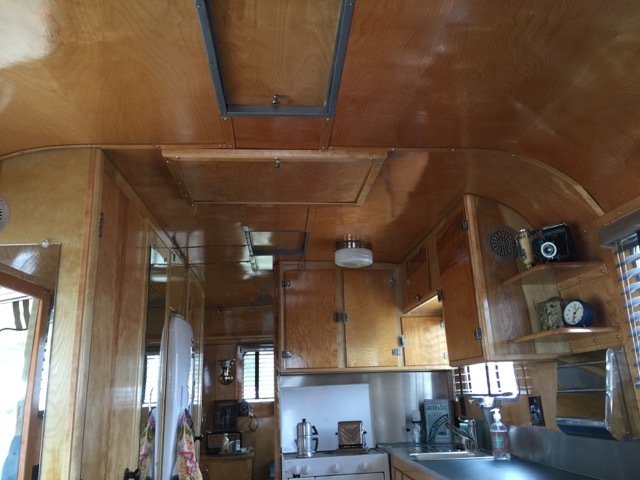 We finished off the windows with new screens and 2" alumunum blinds with tape. The flooring is Marmoleum in a cool vintage inspired pattern. 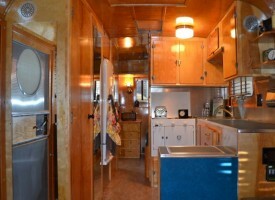 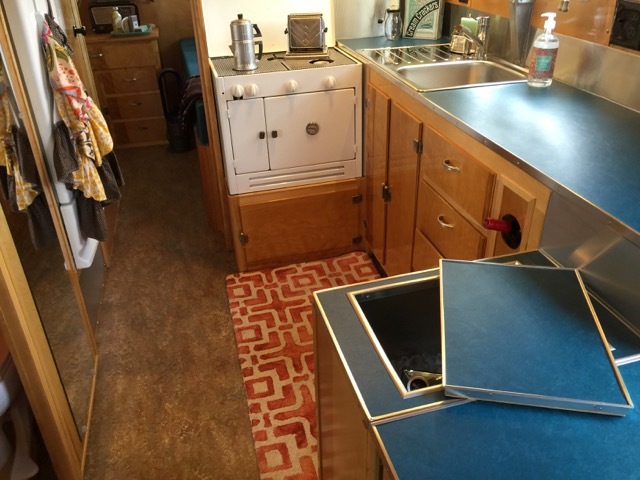 The countertops are also Marmoleum, and almost an exact match to the original. 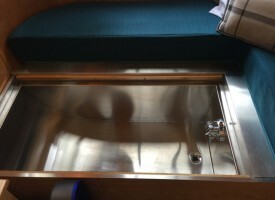 The aluminum sink has a built in drain board and chrome faucet is new. 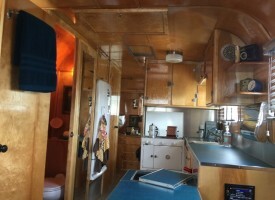 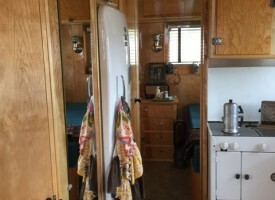 An original vintage stove was sourced, and modified so that the propane lines run directly to the front tanks instead of housing the small lp tank that would have been original. 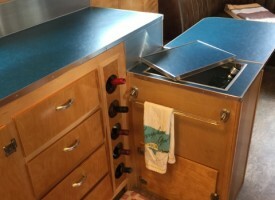 The vintage fridge is original, body worked and refinshed. 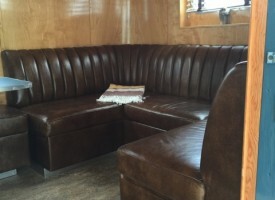 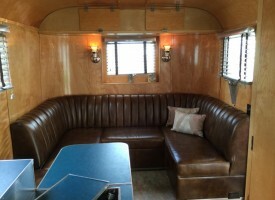 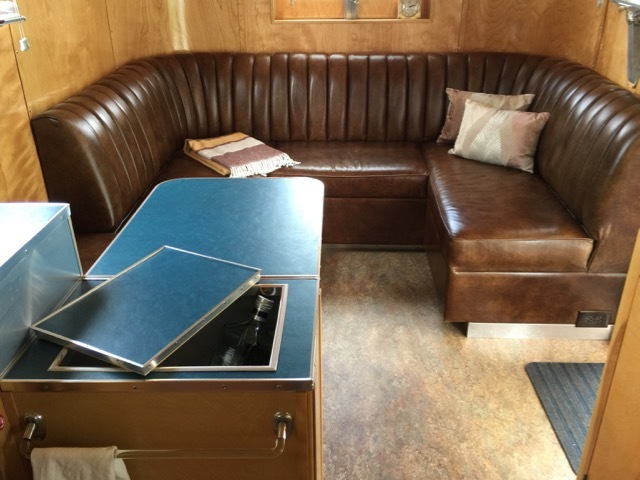 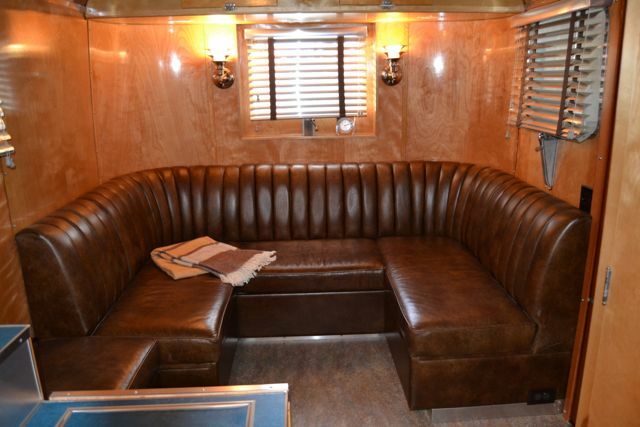 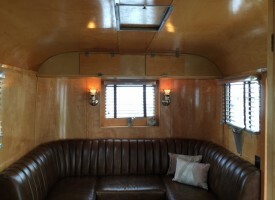 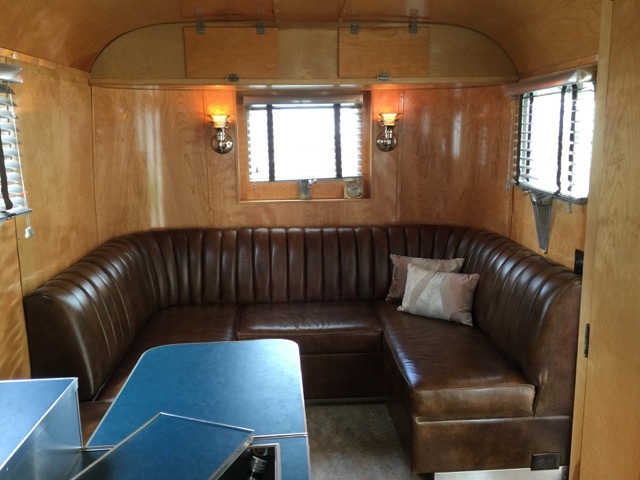 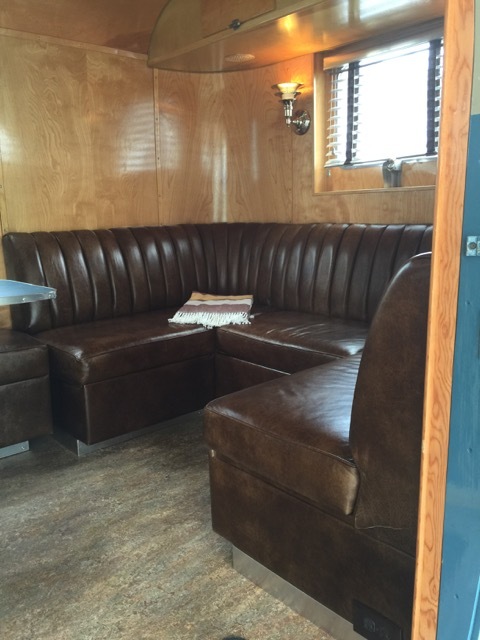 The custom front booth is upholstered in a distressed leather, and the ottoman can be used as seating at the dining table or used to convert the booth to a bed. 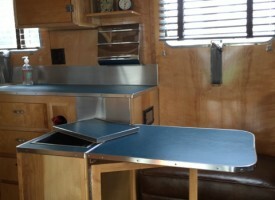 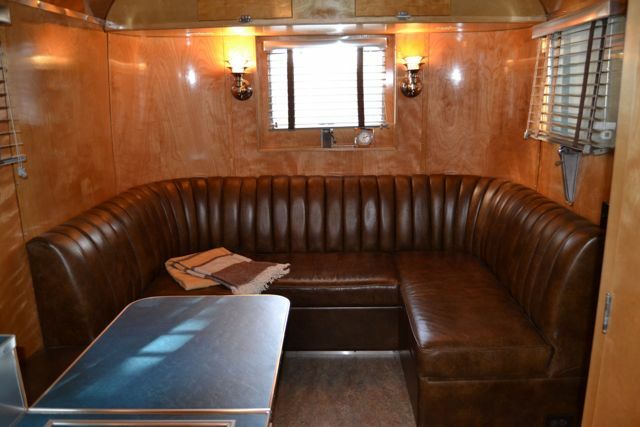 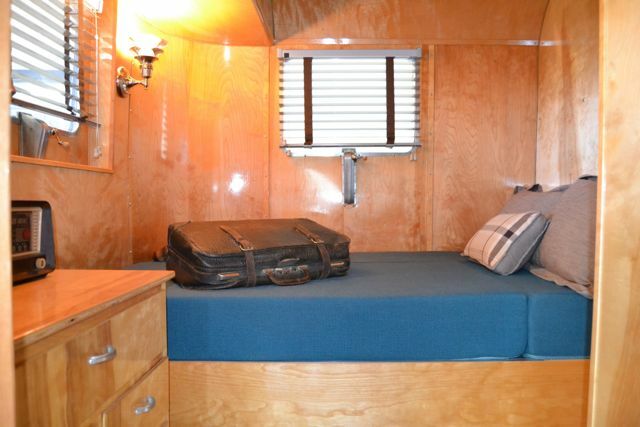 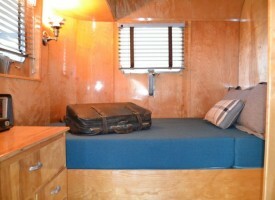 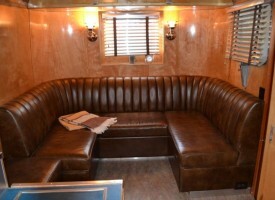 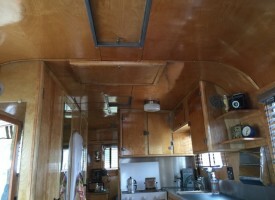 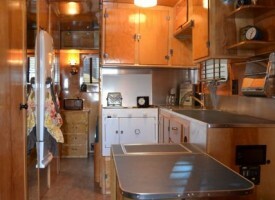 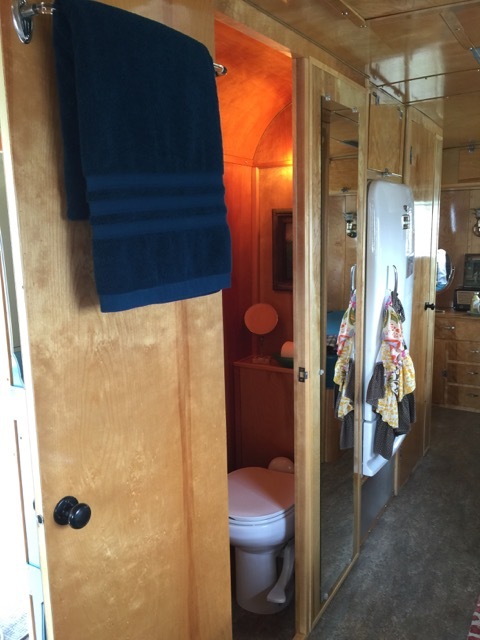 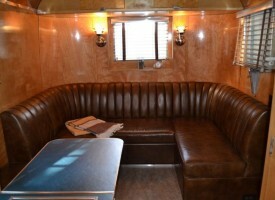 The TV is mounted in the trolly roof and custom alunimum speaker covers help keep the trailer looking era correct. 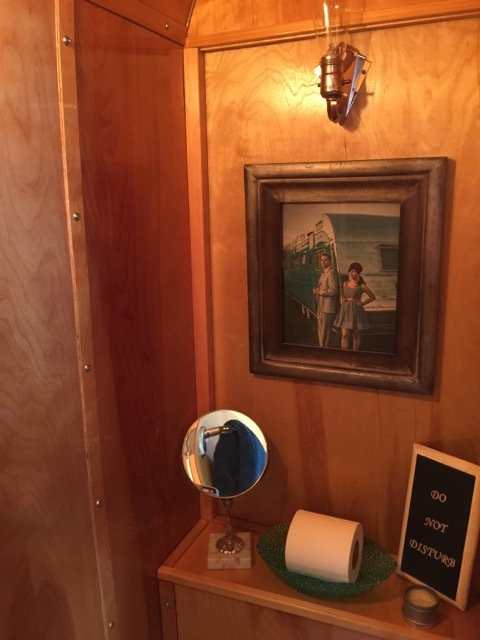 High end fluted chrome sconces complete the look. You must truely see this trailer to appreciate.